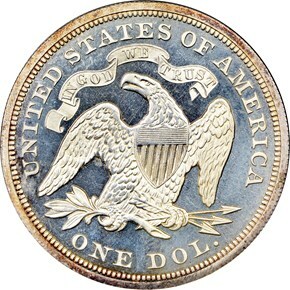 The 1870 is the first proof Seated Dollar since 1861 with an original mintage of 1,000 coins. These specimen strikings were produced in small quantities at several different times during the year, and most were probably distributed as part of proof sets. Curiously, this issue is not as common as one might assume for a proof with 1,000 coins produced. In fact, this date is encountered less often than some lower mintage proofs in this series, such as the 1867 (625 pieces produced). 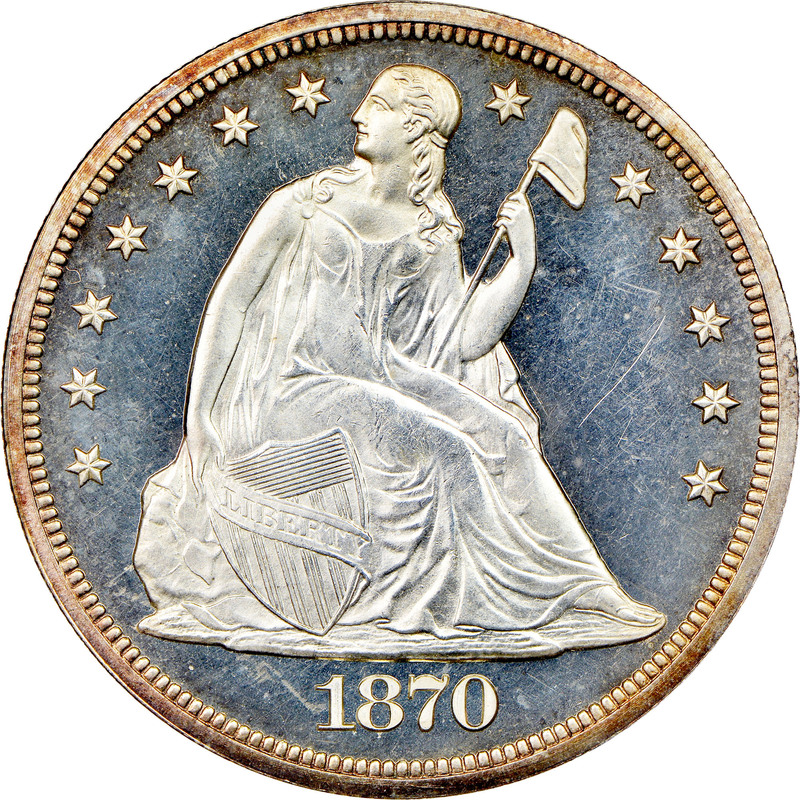 Were quantities of proof 1870 Seated Dollars melted as unsold at year's end? Were numerous coins retained at the Mint for sale at a later date, only to be melted alongside scores of business strike Silver Dollars after passage of the Mint Act of February 12, 1873? We may never know the answers to these questions, just like we may never know exactly why the proof 1870 Seated is as elusive as it is in today's hobby.